Kenneth Logerman | We Can't Hear the Mime! The ten-years-in-the-making Margaret sets out its mission from the word go; to examine a teenager thrown into impossible situations. When you place a not-yet-fully-formed human into a situation that no one should ever have to confront what happens? In the case of Lisa (Anna Paquin), a lot. Her life, as mirrored in the script and cinematographic style goes from cheesy teen soap opera to living nightmare within ten minutes. The classic film tropes of chasing a bus, flirting with the driver as he drives away and generally being a carefree adolescent are overturned when this bus actually hits somebody. The red light that it ran through is on screen for a split second, we, like her, could well have missed it in all the rush. From here onwards the film evolves into a spiral of consequences and repercussions. Lisa searches fruitlessly for an outlet where she can outsource her pain and guilt. This causes her to hurt a huge group of undeserving people. Each time she pulls another person into her web of carelessness and hurt the film cuts away from the dialogue. We know enough to be sure that it is painful for everyone. We are, however, observers and, as such, we are not allowed to hear the intimacies of these conversations. While this is a clever idea, it is executed rather clumsily and is often very irritating, as conversations are replaced with heavily over-amplified background noises: a phone ringing five metres away or cutlery clanging in the out-of-shot kitchen of a restaurant. 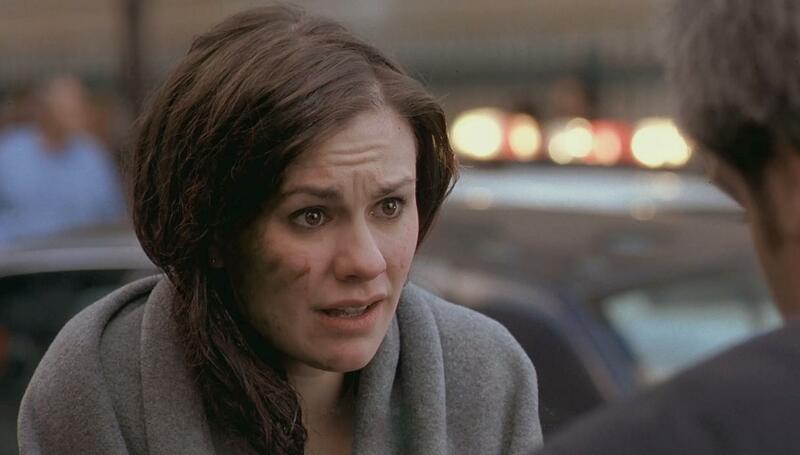 While Anna Paquin gives a sterling performance as the protagonist she is let down by the script. It is impossible to warm to the character of Lisa. She is loud, obnoxious, thoughtless and selfish. In a film which clearly sets her up as a sympathetic figure, almost a teenage everyman, it is strange to have created a character so utterly disagreeable that it almost seems she deserves her troubles. What is bizarre is that the many subplots scattered throughout the film are often more engaging and better made than the main thrust of the story. Lisa’s alienation from her schoolmates is perfectly portrayed as her peers exist only as talking heads who snap and shout at each other over relatively trivial matters. A series of sexual trysts and their consequences present us with a sly commentary on today’s sexualised society. However another thread involving her mother’s relationship with a new man, while being a fascinating and thought-provoking story, seems irrelevant to the film as a whole, making it seem over-stuffed and needlessly complex. Perhaps this is a symptom of the protracted editing period this film endured. After so much fighting for the film to be finished at all it must have put even more pressure on the creators to not leave any of their precious footage on the cutting room floor. Unfortunately this is perhaps where some of it belonged. This entry was posted in Cutting-Room Floor, Film Reviews and tagged Anna Paquin, Film Review, Kenneth Logerman, Margaret, Mark Ruffalo, Matt Damon on August 11, 2013 by Flo.